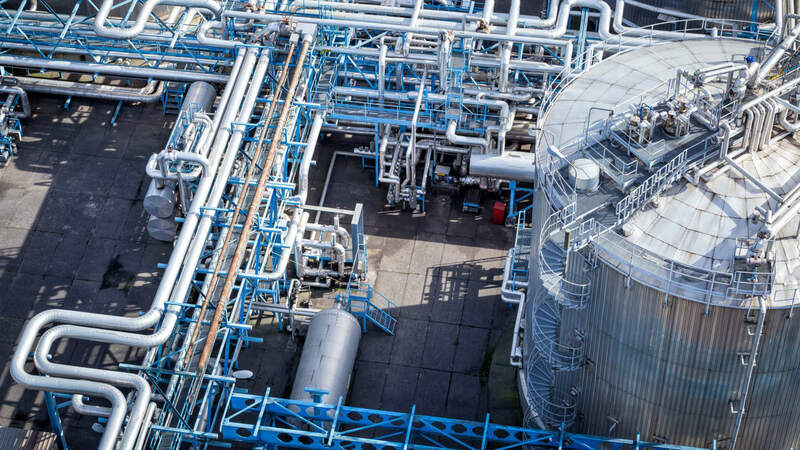 How does gas detection fit into risk mitigation schemes? At IGD we are often asked by prospective clients if they really need a gas detection system and if so how does it fit into their risk mitigation scheme. Whatever the facility and activities being undertaken, risk assessments will be undertaken to analyse risks and evaluate how to eliminate and minimise them. Methods and approaches to do this are well documented with many standards, guides, codes of practice and courses available. Yet still risk assessment and mitigation can be a minefield particularly when your main role is the management of a facility and your background is a completely different discipline. This article does not set out to repeat what has already been written by others. For an approach to risk assessment the best starting point is the HSE website which provides sound guidance and best practice. Our aim with this article is to consider the role that gas detection plays as part of an overall safety scheme. When considering your facility and assessing risks you will consider if processes have to be undertaken and if materials have to be used. If so then control of the process and materials in a safe manner will be of paramount importance. As far as gases and vapours are concerned there are three basics to consider. For flammable gases DSEAR regulations state that ‘no atmosphere should be above 25% of the Lower Explosive Limit where flammable gases or vapours are in use or could exist’. So if the facility uses or could generate flammable gases or vapours how you prove that will need to be considered. Toxic gases will usually come under COSHH regulations and as such will be listed on the HSE’s document reference EH40. If the material has an EH40 listing then occupational exposure limits will be detailed. Another information source would be the Material Safety Data Sheets provided by the supplier, again these will list any exposure limits. Where exposure limits are listed you will need to consider how to show compliance. Asphyxiants are dealt with a little differently. Here the material is perhaps not flammable or directly toxic but will work to reduce Oxygen levels. Here the British Compressed Gases Association produce guidance note GN11 which states ‘that no-one should be exposed to an atmosphere with an Oxygen level lower than 19.5%’. Again you will need to consider how to demonstrate compliance. In conformity terms if your not monitoring your atmosphere then it will be hard to demonstrate compliance. This is one important area where gas detection plays a vital role. Whilst considering your obligations one question we are continually asked is if industry guidance notes and Approved Codes of Practice need to be adhered to, if they are not actual standards or legislative documents. If you adopt the advice from an ACOP or Guidance Note you will be doing enough to comply with health and safety law. If you are prosecuted for breach of health and safety law, and it is proved that you did not follow the relevant provisions of the Code, you will need to show that you have complied with the law in some other way or a Court will find you at fault. Health and safety law applies to all, there are no special exclusions for size of company, educational or recreational establishments or sectors. So in terms of health and safety when considering risk mitigation then with reference to fig 1. If you do nothing then you have 100% of the risk you have identified. Your control of process to mitigate risk in terms of interlocks, ventilation automated shut off systems and such, will work to lower the percentage risk. Safe operating procedures training and PPE will then provide further risk reduction. After these steps have been undertaken there will be a safety gap which will need to be reduced in order to achieve an acceptable risk level. This is where gas detection fits into the safety scheme to act as a backstop to all the other risk mitigation techniques. As we state earlier if you not monitoring your atmosphere you will not know if you have any issues and you will not be able to alert in response to hazards should other mitigation fail. Gas detection is never a primary safety method but always acts as an overall backup to primary mitigation methods. Placement and type of detectors will be key to effective monitoring as illustrated in fig 2. Remember that the detectors are reporting the gas level in their location, significantly more dangerous levels can exist closer to leak sources. To be effective gas detectors will require regular calibration or calibration checks. Modern systems can be used to not only alarm but also provide automated reporting for self checking and event monitoring. Leveraging this data from a system provides an effective means to prove compliance to health and safety legislation.